Take One, a motion capture studio in Belgrade, has decided to release it’s in house tool for converting mocap data from one format to another, free for anyone to use. 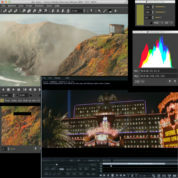 There are a few utilities out there that allow for realtime playback of image sequences we use in vfx (DPX, EXR, etc), with probably the best commercial one being RV (which integrates well with Nuke and Shotgun), but there are some very capable free (or ‘donate if you like it’) software out there that is a great alternative (depending on your needs). I’ll touch on two of the better ones, Jefecheck and DJV Imaging.